Dr. San Duy Nguyen, Psychiatrist, Educator, has been recognized by Marquis Who’s Who Top Health Care Providers for dedication, achievements, and leadership in Medicine. During the Vietnamese War, Dr. Nguyen served as an American doctor, and saw a need for psychiatric services with the allied Vietnamese Army. Inspired to the field, he became a chief of psychiatry in the army during the war, and later a chief consultant in neuropsychiatry to the surgeon general. Today, he serves as chairman on the board of directors for Access Alliance Multicultural Health Center in Toronto, and has been a consultant for the UN High Commissioner for Refugees since 1987. He is also director of the East-West Mental Health Center and sits on the board of the Hong Fook Mental Health Association, both in Toronto. Dr. Nguyen was naturalized as a Canadian citizen in 1977. 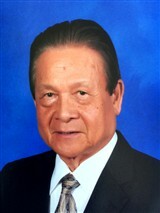 Dr. Nguyen was born in Langson, Vietnam, and trained with the University of Saigon to receive a MD in 1960. After the war, he traveled to the U.S. and Canada to continue specializing in psychiatry, and became director of the psychiatric rehabilitation program at the Royal Ottawa Hospital in 1985. He has held numerous leadership and consultation positions, and helped to build his current organizations in the late ‘80s to offer psychiatric health services to refugees and Asians in the Americas. Dr. Nguyen received a 1993 Commemorative Medal for the 125th Anniversary of the Confederation of Canada from the Governor General of Canada, as well as a 1992 Outstanding Achievement Award from the Ontario government. Dr. Nguyen is a Marquis Who’s Who Industry Expert, and a recipient of the Marquis Who’s Who Humanitarian Award and the Albert Nelson Marquis Lifetime Achievement Award. He has appeared in Who’s Who in America, Who’s Who in American Education, Who’s Who in Medicine and Healthcare, Who’s Who in Science and Engineering, Who’s Who in the Midwest, and Who’s Who in the World. He is a member of the New York Academy of Sciences, the American Psychiatric Association, the Canadian Psychiatric Association, the International Society of Hypnosis, and the American Society of Clinical Hypnosis. He is the author of such works as “Refugee Resettlement and Well-Being,” and the father of Thuan Le San, Megan Thuloan San, Muriel Mylinh San, Claire Kimlan San, Robin Xuantn San, and Baodan Edward San.